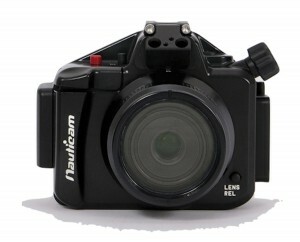 Nauticam announced the NA-GF3 underwater housing for Panasonic Lumix DMC-GF3 camera. The housing has a depth rating of 100m and costs $1650. Shipping starts on October 31, 2011. Part of Panasonic’s micro 4/3 series of mirror-less interchangeable lens cameras, the Panasonic Lumix GF3 sports a 12 megapixel four-thirds size Live MOS sensor, 3” TFT LCD, 3.2fps still shooting and 1080i 60fps AVCHD video. The GF3 is a small, lightweight camera capable of shooting high quality stills and full HD video. 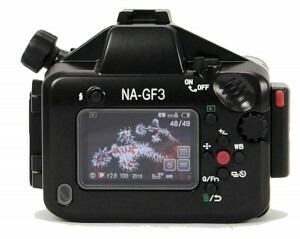 GF3 supports manual, program, aperture, shutter speed, auto, and a multitude of other exposure modes. Metering is accomplished via a TTL capable 144 zone multi-pattern system with 18EV range. Several white balance modes are available including 2 custom white balance settings. The NA-GF3 housing from Nauticam delivers the advanced functionality of the GF3 in style and with the ergonomics that people have come to expect from Nauticam. This is a very compact and lightweight housing, with all of the key GF3 camera controls available from the ergonomic grip sculpted into the side of the housing. A choice of hand strap and left/right handle means the shooter can customize the housing to meet their specific needs. The same Nauticam patented mini locking port release system used in GF2, NEX-5 and E-PL2 housings has been incorporated, allowing easy and secure port changes. Ports are available for the major lenses that are useful underwater, including the Lumix 14-42mm kit lens, the Lumix G Fisheye 8mm, Lumix 7-14mm, and the Panasonic Leica 45mm macro lens. The sculpted housing fits the GF3 camera perfectly - the camera is quickly mounted in the housing via a snap in camera tray, and the housing is securely closed with a locking rotary latch. Nauticam housings are designed with ergonomics in mind, and this housing puts all of the important controls on the camera within easy reach. The shutter release is sculpted into the housing itself, landing the right index perfectly on the button. A four way controller with set button is easily reached from the right. New in the GF3 housing – video record and set button are larger and have a concave face, making them easier to distinguish, further adding the ease of use. Zoom is easily accessed from the left side of the housing. NA-GF3 also features an audible and visual leak detector and cold shoe accessory mount. The port system for NA-GF3 expands upon the existing port system for the NEX-5 housing, adding additional ports for the Panasonic Lumix m4/3 lenses. Olympus m4/3 lenses and Leica m4/3 lenses can be used with this camera as well, further expanding the lens choices. 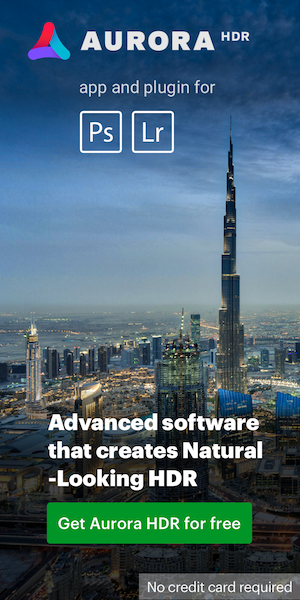 Lenses initially supported include the Lumix 14-42mm, Lumix 14mm/2.5, Lumix 8mm Fisheye, Lumix 7-14mm, Leica 45mm macro, Olympus 14-42mm, and Olympus 9-18mm. Zoom gears are available for the zoom lenses listed. The macro port includes a standard 67mm threaded mounting point for adding accessory wet lenses. Only the finest materials and cutting edge manufacturing processes are used to make Nauticam housings. The housing body is machined from solid aircraft grade aluminum, then hard anodized making it impervious to salt water. The flat ports are optically coated glass. The large acrylic LCD window is treated with an anti-reflective, scratch resistant coating. 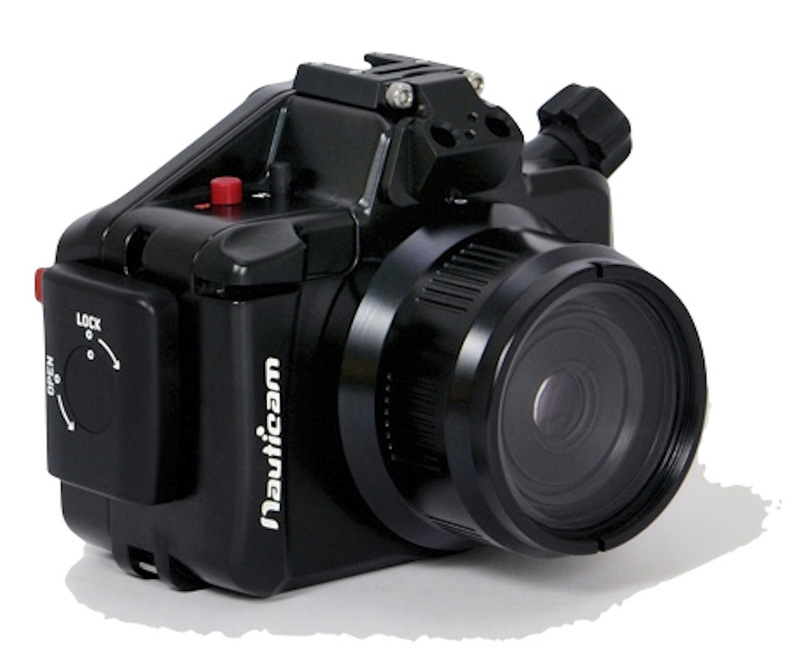 Reliable automatic flash exposure is available with Nauticam housings and a variety of optically fired flashes. Inon Z-240, D-2000, S-2000, Sea & Sea YS-110 Alpha, and YS-01 strobes provide automated lighting, precisely reproducing the camera’s onboard flash at a proportionally greater intensity. This system yields accurate TTL flash performance with no electrical sync cables to flood! With GF3, optical TTL is enhanced even more since GF3 can perform TTL in manual exposure mode. This entry was posted in Nauticam, Panasonic and tagged underwater camera housings. Bookmark the permalink. Trackbacks are closed, but you can post a comment.